[Santa Clara, California, 11 October 2018] Hillstone Networks, a leading provider of network security solutions, was included again today in Gartner’s Magic Quadrant for Unified Threat Management (UTM) for five consecutive years. Hillstone UTM solutions deliver complete security and networking services, tailored to meet the performance and value requirements for small and medium businesses as well as distributed enterprises. 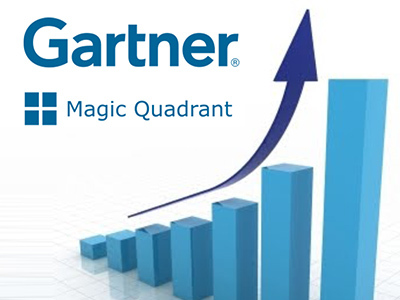 “We believe our continued progression and acknowledgment in the Gartner Magic Quadrants validate our vision to protect our customers’ networks and critical assets,” said Lingling Zhang, Senior Vice-President of Product and Marketing from Hillstone Networks. Bitrate, in operation since 1999, is a distribution company focused on providing ICT solutions through a partner network of hundreds of companies across sub-Sahara Africa. Bitrate focuses on adding value to resale partners, which in turn helps them optimise their solutions to their clients. Bitrate focuses on delivering solutions to the market that help clients reduce total cost of ownership, improve their security posture and experience the richness of technology of today. Bitrate has substantial experience in IT security, network monitoring, application performance monitoring, network troubleshooting and cable infrastructure certification. For more details, visit: https://www.bitrate.co.za/.